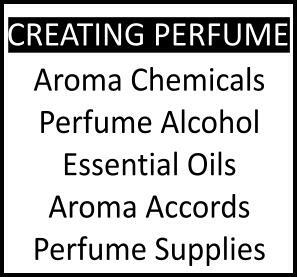 "Fit for nuns and virgins" is as enticing a description of fragrance  for some of us as talking of a scent weaving a web of seduction the way a femme fatale would. Clearly, it's not because we belong to either category, but rather that its programmatic unconventionality of what feminine fragrance should stand for makes it ripe for personal exploration. It's so easy to underestimate a fragrance just because it's widely available and comes from a brand that doesn't have haute or luxe pretentions such as Cacharel and Noa. I bet good money that were Noa issued by a niche company into some fancy-named contraption and fronted by a du jour perfumer it would elicit more enthusiastic response. 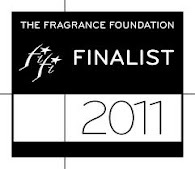 Despite Cacharel's fashion presence and their rather large input in fragrance history (a pre-emptying floral in Anais Anais, a magical retro heliotrope in Loulou, the first aquatic fruit-oriental in Eden, a good effort at tobacco-laced feminine in discontinued Gloria) they fly under the radar on what concerns hard-core perfume lovers. Which is why we're here and have been reviewing the Cacharel canon for a little while now on Perfume Shrine. Noa is an underappreciated little gem that didn't deserve the lack of attention it receives and which spawned somewhat less noteworthy flankers, called Noa Fleur (2003) and Noa Perle (2006). But let's see the strong and weak points of each and compare them. 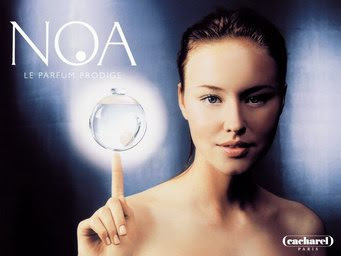 The original Noa by Cacharel (1998) was composed by perfumer Olivier Cresp, the fragrance encased in a diaphanous bubble of a bottle, a zen approach to the spiritual 1990s (hence the tag line "the gifted fragrance", one would almost expect a Messiah in a bottle), designed by Annegret Beier. The passage of a few minutes results in a slight recalibration of one's original view of Noa, which would have been of an aquatic floral: it's really a floral musk with a hint of powder and soapiness and a delightfully unexpected smoky wood top note. The initially detectable ylang-ylang blends into the background, while the soapy aspect of the musk intensifies as the minutes pass by, boosted perhaps by some aldehyde. This produces both a smooth, clean scent, but also a reduction in volume, making Noa appear "light" and "fresh", although don't let that fool you into thinking it doesn't last; it does.The musks are fuzzy, cozy, warmish and comfortable, accented by a small note of spice like coffee laced with cardamom. Tania Sanchez identifies the spice as cilantro. 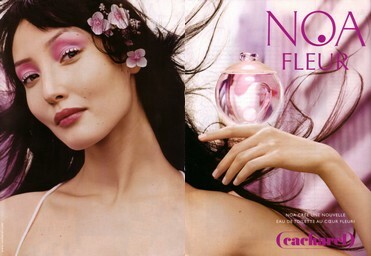 Noa Fleur by Cacharel came next in 2003 and its take is more unisex than its rosy character would suggest. Essentially a clean, rather screechy floral, flanked by musky notes like hibiscus and white musks, plus pale balsam and indeterminate notes that project with a faint powderiness, it's predictable and pliable. The inclusion of black currants gives a rather fruity facet to the proceedings, but there is no denying this is a rose fragrance with more woodiness than a typical soli-rose. This would make it fit for those occasions when you just don't know what to wear; rushing out of the door to get the kids on the school bus, going shopping impromptu, having a last-minute "wanna pick you up?" date when you're uncertain of your date's tastes...But you could do better than that: Grab Gucci Eau de Parfum II or Miracle So Magic. These must have escaped my attention totally. It's the first time I hear about them. Thanks, I guess, since Noa sounds like a nice enough fragrance, especially for warmer weather or office wear. Wonder if it could be worn by a man? I also wonder what you think about the Cacharel pour Homme? Remember that one? You make me laugh with this line......"Fit for nuns and virgins", does it mean it won't fit for mothers with kids who are technically no longer virgins? Peace, I am just kidding :) I am enthralled with your description and wish I can shop this online. I am a perfume aficionado, loves to collect new names of perfumes. Thanks for sharing! Yup, man could pull it off. It's a floral musky, not particularly "lush feminine". I remember Cacharel pour Homme as a standard fougere in that hip flask bottle. It's still circulating from what I recall? if pay attention you'll see it's a quote and I'm referencing the writer at the bottom. I bet you know exactly where to come across this one, don't you. as you can see I'm catching up! 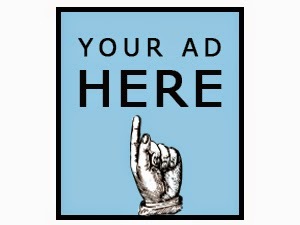 I'm thrilled you've written about this one because I couldn't agree more- if it weren't for the marketing and also the ease with which you can get Noa and the pricing I think, perversely, more people would like it. I personally really love this one- it's 'my' drugstore type perfume and I never fail to enjoy wearing it- the coffee note is particularly interesting and enjoyable. I had a super holiday on the coast wearing this all the time and so oddly it reminds of the sea too. I think most people have become totally bored and jaded with department store frags to the point there is a sort of automatic snobbery against them. Nice association you have there!! I had to buy this today, after reading your review of Hamsa on fragrantica. Can't wait to receive it, it should help me bear the (hopefully) last few weeks of winter in the midwest, USA. Sounds like a perfume I will love, dearly. That's high compliment, thank you. Enjoy! The original Noa was INTOXICATING...does not seem it's carried any longer, at least here in Pittsburgh. Thought I found it on ebay; not at ALL the original, not even close - it was a knock-off wannabe - that I paid $75 for. Such a shame. So sorry for what happened to you.